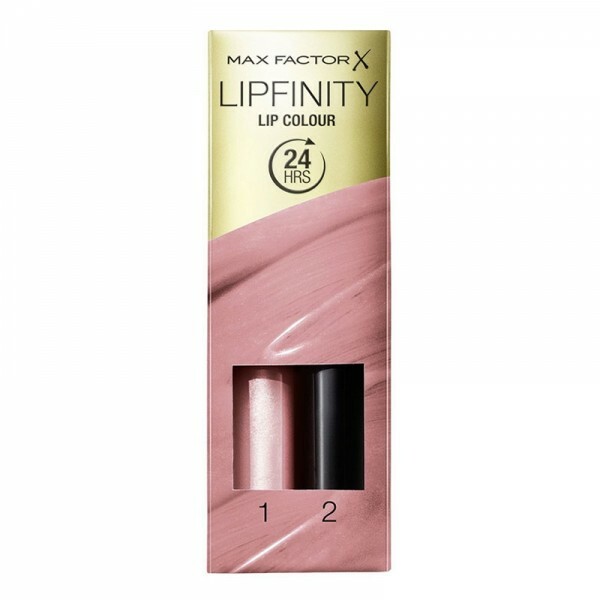 Lipfinity Colour & Gloss Lip Gloss with multi-dimensional shine for lustrous lips that last up to 10 hours. The original long-lasting lip colour is the perfect way to make a lasting impression. Now with a new applicator for true bold colour that stays put all day. Hot must-have shades that last for up to 24 hours. Moisturising balm gives a smooth finish with luscious shine. New applicator for a defined, bold finish. 1 Always apply Lipfinity colour to clean, dry lips. 2 First, line your lips using the Lipfinity applicator. 3 Then turn the applicator over and fill in your lips. 4 Wait for one minute for the colour to dry, and then apply the moisturising balm. Reapply the balm topcoat regularly throughout the day.